Shortly after sharing this post on how to build a simple fort, I was contacted by Fort Magic and asked if I’d like to review their fort building kit. My children make forts every single week (this week it’s a beaver dam/fort), so how I could I refuse? There will be a generous giveaway at the end of this post. When our Fort Magic kit arrived, I was impressed by the sheer quantity of materials (seven different stick sizes with over 350 pieces altogether). I spoke highly of our new toy to my lovely neighbors, and they all wanted to have a turn with Fort Magic. The kit made the rounds around our houses…a few times…and I can confidently say that it’s popular with girls and boys, and children between the ages of 1 and 7. Our 5-year old neighbor built a tent-fort over his bed and kept it there for a full month! The kit finally made it back to us and my 4-year old asked to make a submarine from the instruction manual (shown in my photos in this post). Fort Magic was founded by entrepreneur and homeschooling mom Erica Pope-Gusev, who’s joining us today to talk about how she came about designing this imagination-building toy. It’s great to have you here today, Erika! What is the inspiration behind Fort Magic? The materials used to build with Fort Magic are both simple and incredibly smart. What contributed to your design process? The design process of creating Fort Magic was basically being a kid myself! We call our business the Fort Magic Fun Factory. I originally just started building (playing!) and working with my prototypes and would think, “hmm, this could be cool,” then I would try and add something else or create something new. After many months of building and trying lots of different sized pieces, we came up with our current kit components! It really can build anything and it really is the ultimate building toy! And it fits nicely in one little bag. 🙂 Some companies create toys with just enough pieces that you have to buy a second to really do something cool with it. That is NOT our philosophy. 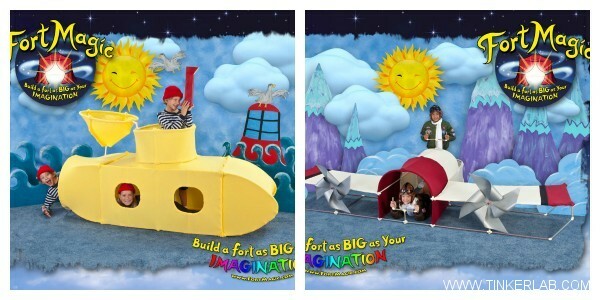 We wanted out kit to be excellent enough to be purchased alone and STILL give a child enough to build fantastic life-sized forts! Kids deserve it. If a family wants 2 kits that is great also. But it won’t be because one kit leaves feeling cheaped-out, it would be because you just want to build more cool stuff! 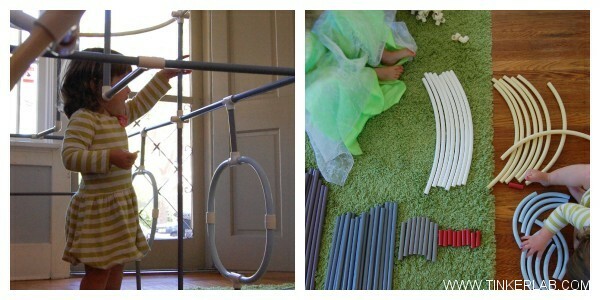 What do you hope children will gain from the experience of playing with this these materials? Oh my goodness! First and foremost we want kids to have fun! But also, Fort Magic is obsessed with children becoming their best! Our mission is the building of greatness in children one fort at a time. 🙂 Our goal is to give power to children to literally create their own realities, life size! Not only by building and creating life-sized forts of their own to play in, but by igniting a confident belief in their minds that maybe they CAN do anything else! Confidence is earned through doing and believing. With Fort Magic kids learn to plan their designs, build their designs, cover and decorate their designs, and see their work! That is education: fun and confidence building in one experience! Fort Magic also brings the whole family in to play. If you look at our Facebook page you’ll see so much creativity coming from the minds of boys AND girls! 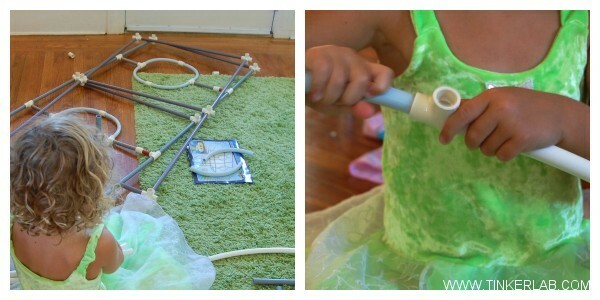 Building toys are often directed primarily at boys, but girls LOVE to build also! The long term plan is to support our product with our online World of Fort Magic page on our website where kids can learn how to create all kinds of DIY projects, educational materials to support themes, resources for parents on how to use Fort Magic to help their kids. 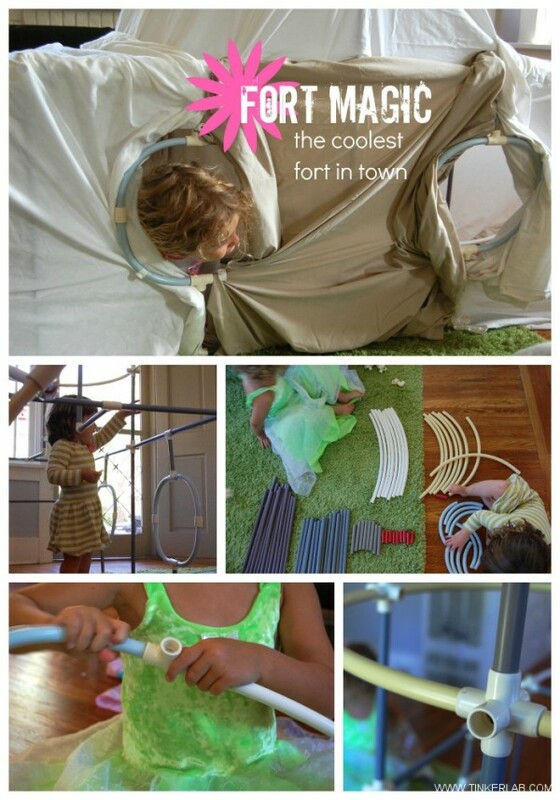 There are sooo many benefits from creative building toys like Fort Magic! I can hardly start to name all of them. We are busy preparing a lot of material that will launch soon on our World of Fort Magic page for customers to use. We are really excited about this! I would just like to thank all of our fans, reviewers and customers for their enthusiasm and support! We are so happy to recieve emails and notes from kids and parents on how much they love their Fort Magic kits! It just makes our hearts soar. 🙂 We get a lot of positive reviews and we love it. 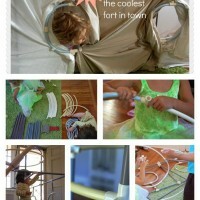 Check the Fort Magic Facebook page for photos of kids and their creations! Each month we hold a Fort Magic Photo of the Month contest — winner receives an additional Fort Magic Kit, free! To enter for your chance to win a complete Fort Magic Kit ($249 Value), click on the Rafflecopter giveaway. This is the first time I’ve used Rafflecopter to run a giveaway. I’d love to hear what you think about it. This is open to U.S. addresses only.